19:30 (GMT+4) At least 22 people have been killed and 120 injured after a suspected terrorist attack at the Manchester Arena, Manchester Evening News reports. The area around the arena was swamped with police and emergency services and approach roads were cordoned off. Greater Manchester Police say that children are among the dead. Fifty-nine people were taken for treatment at eight hospitals across Greater Manchester. A further 60 were treated as 'walking wounded'. Chief Constable Ian Hopkins said it was believed that the attacker - who died at the scene - was carrying an improvised explosive device. Swarms of armed police were joined by a bomb disposal unit as teams from across the region worked to secure the area and help the injured. 12:18 (GMT+4) At least 22 people, including some children, were killed and 59 wounded when a suicide bomber struck as thousands of fans streamed out of a concert by US singer Ariana Grande in the English city of Manchester May 22, Reuters reported. 04:58 (GMT+4) The police have now released an updated statement that 19 casualties were suffered and 50 people are injured, Sputnik reported. UK media report that at a minimum, 20 people have died in Manchester. 03:55 (GMT+4) Law enforcement officials told NBC that the attack claimed the lives of at least 20 people going to see a concert. Many of the concert goers were young teenage girls outside their parents' watchful eyes for a few hours, and now some of those parents may never see their kids again, Sputnik reported. Armed police and bomb squads arrived at a scene of chaos. Following Ariana Grande's performance, a huge blast went off. 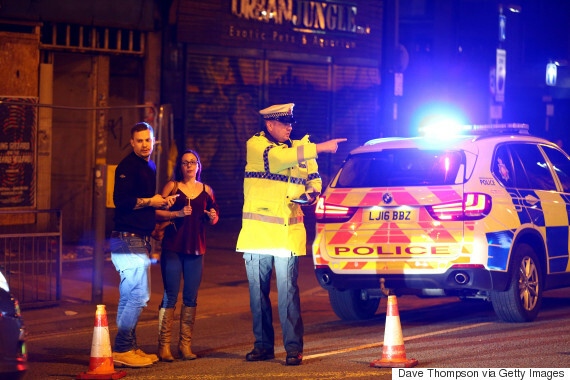 Manchester residents claimed to hear the bang a mile away from the arena. "It was a huge explosion – you could feel it in your chest," concert attendee Catherine Macfarlane told Reuters. "It was chaotic," she said. Grande, the lead performer, is alright, according to her press team. The venue held about 20,000 people for the event. 03:06 (GMT+4) Police have confirmed a "number of fatalities" following reports of an explosion at Manchester Arena, BBC reported.